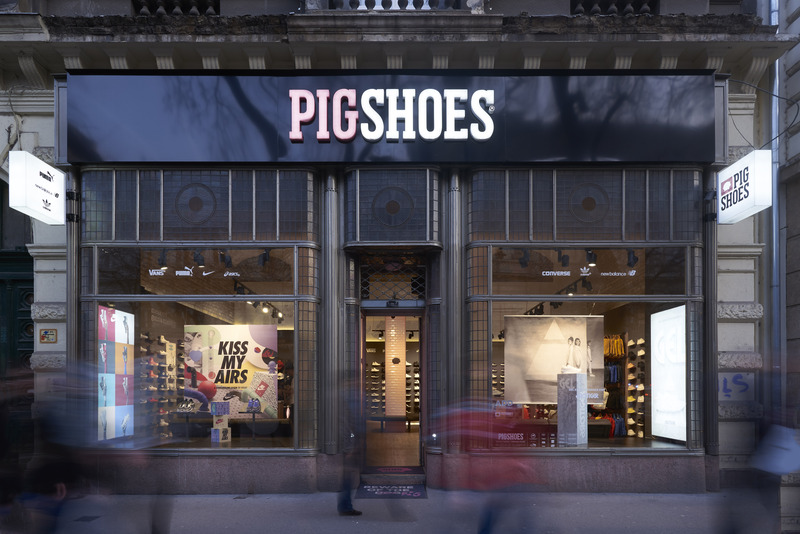 Pig Shoes is an urban shoe store concept offering a wide range of the most wanted and exclusive sneakers while constantly keeping up with the latest sneaker trends. Currently we operate 2 stores in the most frequented locations of Budapest: on Andrássy and Hercegprímás street. Our mission is to be the hottest sneaker selling points and webshop in Hungary in terms of displayed collection and available stock. Store staff and customer service is our number one priority. Our portfolio includes world famous brands like adidas, Nike, New Balance, Asics, Reebok and many more as well as a wide range of accessories such as Fjallraven, Herschel, TOMS, Birkenstock, Stance, Crep!, Ray-Ban and Oakley. Just like little piggies who inspired our brand identity we, the Pig Shoes Team, always strive to remain unusual, cute, easy to remember and loveable.